Hello everyone! How is your weekend going? Mine started with a terrible hungover, but at least I got some sewing done and these photos taken. This is the Lauha Vent Skirt by Named Clothing. It’s a “Gorgeous high-waisted maxi skirt with a deep vent at front. Flared design with small pleats at waist and a zipper closure at the back”. 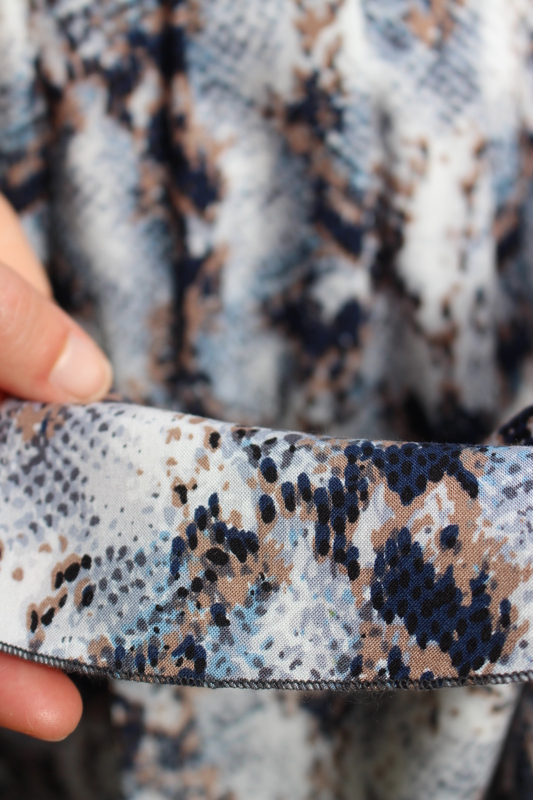 Recommended fabrics are well draping and light non-stretch wovens, so I choose this blue snake print rayon I had in my stash for some time. It’s floaty and cool, so perfect for summer and for this pattern. I purchased this pattern in PDF. Each file contains two sizes and the layout is overlapped, which means you’ve to trace the pattern or print the sheets twice and then cut and put together all the pieces without tracing. There are 1cm seam allowances included. Based on my measurements I choose to make a size 36 and added a couple of cm to the waist. The skirt went together in no time and I love the result. The little pleats add interest to the garment and the central front split is a very nice detail. I decided to hem this Lauha with a little rolled hem in matching dark gray and left the skirt quite long as I like it to wear it with heels. If one day I’ll fancy wearing it with flats instead, I can still cut off a bit of length. I don’t have many maxi skirts in my wardrobe, actually I’ve got just my beloved Anna Dress and this Lauha at the moment, and I wonder why I didn’t make more of them yet?! I love wearing floor length garments, they’re so fun and elegant too! I definitely need to add few more maxis on my sewing list and I was just eyeing a couple of other Named patterns. Have you tried the Kielo or the Delphi dresses? I’m itching to make them both! Thank you Louise! 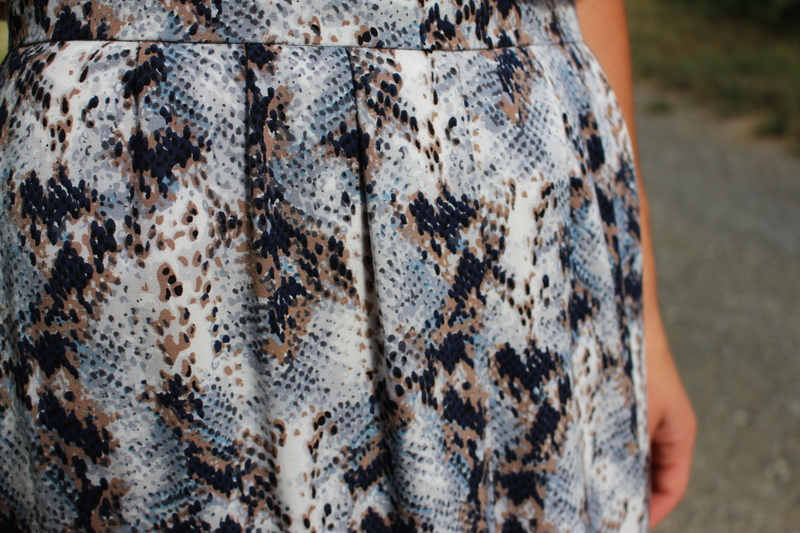 I don’t usually go for snake print, but this one, in navy and blue, it’s a bit more subtle and wearable for me! The skirt looks great on you! I just finished a Delphi dress two weeks ago. I like to wear that dress, it is my first and only maxi dress. I plan to make more as well, so comfortable and elegant. HI Nathalie! I’m looking for the right fabric and as soon as I find it will become a Delphi, I really like that dress!